Radio France Internationale (RFI) launched a new service in Manding - "RFI Mandenkan" - on Monday 19 October, along with a webpage for the service in French and Manding. The bilingual webpage featured what appears to be Bambara (one of the Manding tongues - see below), and uses an orthography close to the official one used in Mali. (One minor difference is use of "ny" in place of the letter "ɲ".) It will be interesting to track how this content evolves (and whether and how VOA's "Mali Kura Bambara" service might respond). Regarding the RFI Mandenkan broadcasts, there was apparently confusion among some (based on a message seen on an email list) as to what frequencies were to carry the first Mandenkan emissions - maybe this is typical for newly started shortwave radio services. A comment about the broadcasts by Nafadji Sory Condé (on RFI's article announcing the service) called attention to issues with terminology in Mandenkan, and suggested that the broadcast staff consult with N'Ko specialists - this is an interesting perspecive, since evidently some in the N'Ko movement are really studying the language in its diversity as part of developing and teaching a literary standard for Manding. In other words, the language itself is not lacking, but knowledge of the range and depth of its vocabulary may not be known to all native speakers educated primarily in French-medium schools. I took the chance to listen to some of the audio via the ma.rfi.fr webpage (you can click on a couple of places at the head of the page to listen), and was suitably humbled (fast for my rusty L2 level), though I was able to get some of it. Overall, it sounded smooth, which I guess one should expect from this level of radio. Manding is a term for a group of (mostly) mutually intelligible languages within the Mande language family of West Africa - notably Bambara, Jula (Dioula), Malinké, and Mandingo. It is spoken as a first or second language by significant populations in all or parts of several countries: Mali; Burkina Faso; Côte d'Ivoire; Guinea; Gambia; and Senegal. Mandenkan is a way of saying "Manding language." Manding in English and Mandingue in French obviously originated from one or more of the Manding languages. However the term Mandenkan as a word in the language(s) to describe them together may be a recent construct (I recall hearing questions about it in the late 1980s, and a 2000 publication by Prof. Eric Charry seems to indicate that Mandenkan and another form, Mandekan, originated with linguists). The kan suffix is interesting. While in English or especially French, "tongue" ("langue") is used to mean language or expression, in Manding, "throat" ("kan") is used to express language or voice. The endonyms for the Manding languages mentioned above are Bamanankan, Julakan, Maninkakan, and Mandinkakan. 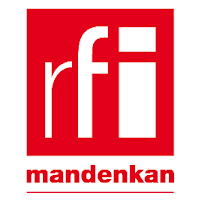 RFI's choice of Manding is interesting for at least a couple of reasons. First, they deliberately chose a category that crossed many borders in West Africa (note the quote by Imogen Lamb in this piece from Mali Presses), as well as the standard linguistic demarcations (Bambara, Malinké, etc.). Compare with VOA's focus on Bambara in Mali. And second, this is the first African language service that RFI has undertaken in primarily a Francophone zone (demographically most of the potential audience for RFI Hausa is in Nigeria, not Niger). For a more complete discussion of these and related issues, see Coleman Donaldson's blog post from last year, when RFI's Manding project was still in formation, "RFI and Voice of America learn Manding." Thanks for the write up Don. The audio quality strikes me as better than VofA -- less poor quality cellphone interviews with lots of cuts to remove French. Today's news was cool because it included interviews with citizens in Manding in both Abidjan and Conakry regarding their Presidential elections. It'll be interesting to see how RFI's intervention affects anyone's sense of what is standard etc. What is clear is that today no one typically uses the glottonym "Mandenkan" in local varieties. The closest would be "Maninkakan" or "Mandinkakan" which both stem from "Manden-ka-kan" or "language of the people of Manden" (Manden-inhabitant-language). Merci pour l'article. Si RFI veut durablement et pertinemment s'intégrer dans le monde manding, elle doit necessairement s'intéresser au N'Ko qui dispose du corpus le plus divers et important en mandenkan. Merci pour tout ce que vous faites pour les langues africaines a travers votre radio RFI. votre CHOIX est unanimement salué a travers l'espace MANDÉ d'Est en Ouest, du Nord au Sud. Merci donc. Thank you RFI for this article . I really appreciate the use of authentic mandekakan terms by the journalists. It is really important that the language is spoken in its true authenticity because a lot of we nowadays mandekakan speakers lack the knowledge of many terms in this language . We like to borrow terms from other languages we have learnt to express ourselves in mandekakan. For example, we refer to TV as "TV" in mandekakan while the authentic term is "DJIAKAN ". Therefore , it is important that the broadcast staffs work with the n'ko specialists to improve their knowledge. Thanks for the comments. Merci pour les commentaires. Coleman, I appreciate the additional info and impressions re their new Mandenkan service. There needs to be a spell-checking system based on some accepted set of spellings. That would really help on a number of levels, including content on RFI's site, esp. as they expand to news articles. A standard is still emerging. Bamadaba is of course more authoritative that Wiktionnaire, butas you mention, linking to specific entries not possible. IMO, Wiktionnaire's advantage en ravanche, is being able to list sources and where useful, examples for specific entries. N'koblogger, Ce serait intéressant de lier les efforts de RFI et de VOA avec la communauté d'experts en N'Ko. Est-ce qu'on a jamais organisé un atelier pour les staffs de ces organisations et les radios nationales sur les emissions en langues nationales? Moussa, Puisque je ne suis pas connecté avec RFI, veuillez les contacter par leur contact page. Interested to learn the term "jakan." Access gap in the "Connectivity Declaration"?